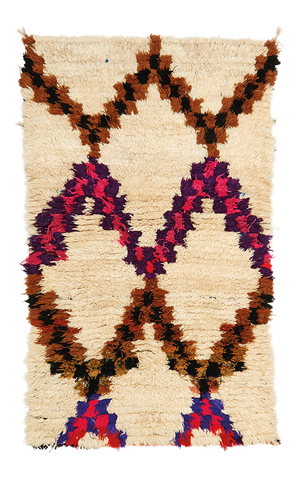 Cheerful small Berber rug, with some colourful rag rug additions, giving it a joyful appearance. Good wool and in good condition. A nice graphic piece for every room.